It can be difficult to keep tabs on this wild, ever-changing game of musical chairs, so we're compiling it all in one place. On the eve of its 10th anniversary, Alexander McQueen is "redefining the relationship" with its diffusion label. Unless that's what you're looking for. No judgement. Parsons is partnering with some of fashion's powerhouses to give students another dream opportunity--and this one is (hopefully!) controversy-free. What a day for designer musical chairs! Fashion shows aren't just about fashion anymore. Or more accurately, fashion isn't just about the clothes anymore. Every season, runway shows get more elaborate, as designers and brands try to cram a lot of drama into the 15 minutes that they have everyone's attention. And it works--it makes a show pretty memorable. (Whether or not it helps the image of a brand or helps the clothes be memorable remains to be seen, as our contributor Long Nguyen speculated in his review of Dior's show.) 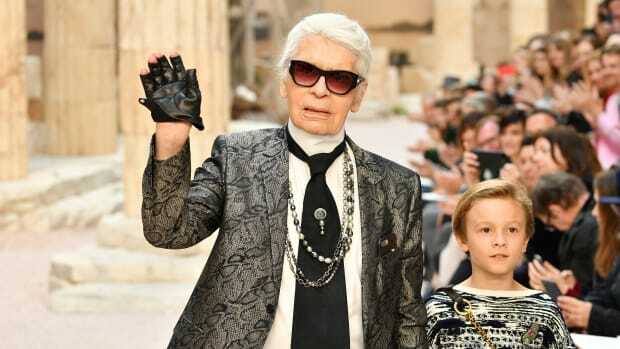 Karl Lagerfeld and his Chanel extravaganzas are the notable exception. Lagerfeld always wows us with a spectacle of grand proportions--and clothes to match. The Chanel show, which walks tomorrow in Paris, is undoubtedly the highlight of fashion month every seasaon. But those who have come before it this month weren't too shabby, either. Pyrotechnics, a fruit stand, and an escalator all helped designers tell their stories for their fall 2012 collections. Click through to see all the most outrageous runway shows from this season. The darkly romantic looks on the first day of Milan fashion week may have been a palette cleanser from the rainbow-splashed prints on display over the weekend from all the young guns in London. But you might still be wondering what wild and wonderful British fashion stood out from the digital swirl—which is why we’ve compiled the ultimate crib sheet of the season’s most well-reviewed shows.